Further to our Economic, Energy and Tourism Committee appearance on 10 February, we share an update on our continued support for screen. When we published our Film strategy in October 2014 we clearly stated the development of a sustainable film studio for Scotland as a priority. We strongly believe a major studio facility is essential to drive growth in the sector. We are supporting partners Scottish Government and Scottish Enterprise, to encourage private sector investment to make this happen. We agree that build space is only part of the solution. Creative Scotland’s Screen Commission is busy taking enquiries from the UK and internationally, we actively promote currently available space in Scotland continually bringing new options to the market. Since the publication of Creative Scotland’s Film Strategy, we have implemented a significant number of positive measures to grow and support Scotland’s screen sector. These include the introduction of just under £5m of additional funds for Film & TV production and skills development. This is in addition to the funds that we already invest annually through our £4m Lottery fund. We also provide funding of more than £2m to screen related organisations through Regular and Open Project Funding. That’s a total of more than £11m in the sector for the year 2015/16. This compares with £7.5m invested by Scottish Screen in 2009/10. 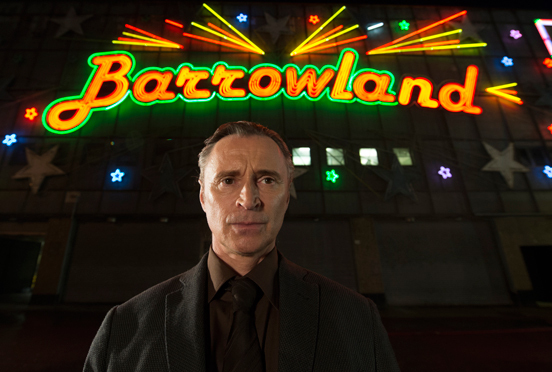 Film and TV producers spent a record £45.8m shooting on location in Scotland in 2014. These production spend figures represent an increase of almost £12 million compared with 2013 - demonstrating a fast growing appetite from major film and high-end TV producers to use Scotland as a location for their productions. Creative Scotland cares passionately about film and with our partners have worked hard to significantly increase financial support for the screen sector over the past five years. A new Screen Sector Leadership Group has been established, chaired by John McCormick, with the aim of further increasing funding for the sector and focusing on talent and skills development, training and co-production. We are committed to doing everything that we can to work in the best interests of the screen sector in Scotland. For more information, we've prepared a detailed update (PDF) on the measures taken in the last 12 months to support the screen sector and achieve the aims and ambitions set out in Creative Scotland’s Film Strategy 2014-17: Scotland on Screen.